What was Fort Hood Shooter's Motive? 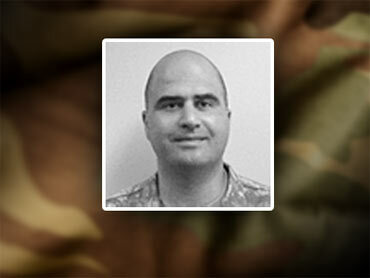 Why did the man accused of opening fire at Fort Hood snap? Reports indicate that he was both angry at the U.S. involvement in Iraq and Afghanistan, and had also been harassed because of his Mideastern background. A man who said he was a first cousin of Maj. Nidal Malik Hasan told Fox News that his cousin had been harassed by other military due to his Mideastern background. Military officials first said Hasan was killed by their response, but later Thursday night said he was wounded and in stable condition. "Things from the war probably affected him psychologically. He dealt with some harassment from some of his military colleagues … and he hired a military attorney to have it resolved," said the cousin, Nader Hasan. "It was the harassment that got to him," said the cousin, saying other soldiers "referenced his MidEast ethnicity, even though he was born and raised here. Went to high school in North Virginia, went to Virginia Tech., never been in trouble, played sports." A man who work with Hasan at the Fort Hood psychiatric ward said Hasan was angry about the U.S. involvement in Iraq and Afghanistan. "He said, first of all, we should not be over there," said Col Terry Lee to Fox News. "There were several comments he made." Lee said he told Hasan to "lock it up," and that it was the time to make his views public. "He said precisely that maybe the Muslims should stand up and fight against the aggressors. And at first, you know, we thought he was talking about that Muslims should stand up and help the armed forces in Iraq and Afghanistan, but, apparently, that was not the case, because there was other times he would make comments to other individuals about how we should not be in the war in the first place," Lee told Fox News. "He was hoping that President Obama would pull troops out and that things would settle down, and when things were not going that way, he became more agitated and more frustrated with the conflicts over there, and he would just -- he made his views well known about how he felt about the U.S. involvement in Iraq and Afghanistan. Hasan's anger may have reached boiling point when he found out he was soon to be deployed. Sen. Kay Bailey Hutchison, R-Texas, said Hasan was about to be deployed overseas. Hutchison says she was told about the upcoming deployment by generals based at Fort Hood. But it was unclear if he was headed to Iraq or Afghanistan and exactly when he was scheduled to leave. Federal law enforcement officials said Hasan had come to their attention at least six months ago because of Internet postings that discussed suicide bombings and other threats.